Is your young puppy driving you crazy? Busy lifestyle juggling work, kids or both? Want to teach your puppy to grow into an adult dog who walks nicely on the lead, comes when called and settles anywhere you take them? The great news is: Happiest Hounds Puppy Life Skills Classes can help. With just FOUR puppies per class maximum, you receive lots of one to one attention and tailored advice for you and your puppy. Using reward based training, classes are based on the Life Skills for Puppies concepts developed by behavioural scientists at the University of Lincoln. Be calm, stop jumping up, walk nicely on lead, come back when called, enjoy visiting the vet and being groomed, go to bed (instead of scrounging at the table!) and much more. 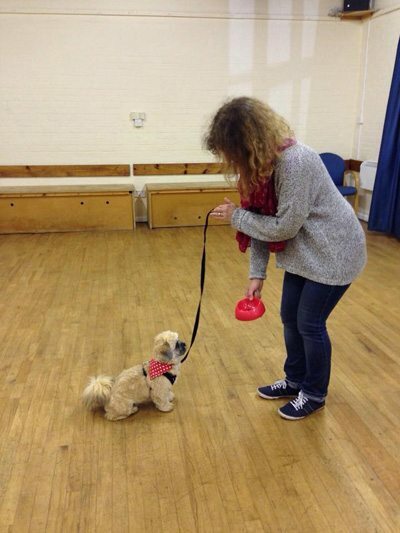 Suitable for fully vaccinated puppies under 6 months old, puppy classes are held at a choice of 2 fantastic locations across East Hertfordshire costing £120 for the whole course. *FREE* Life Skills for Puppies book provided as well as comprehensive handouts, weekly class recaps and lots of puppy goodies. At Bramfield on Wednesday mornings you have the luxury of choosing your start date! Each session is 1 hour in length for 6 consecutive Wednesdays. At Watton-at-Stone on Sunday mornings the first class is a theory session for 1 hr 20 min without puppies. Then there are 6 practical classes 50 min in length each. 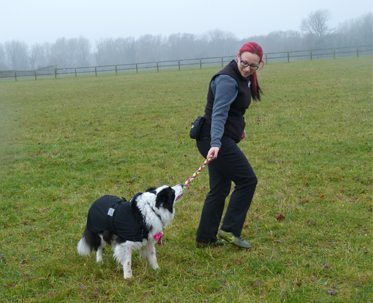 Both venues boast fantastic warm and dry indoor facilities with huge outdoor areas to practise real life scenarios such as walking nicely on lead and coming when called in distracting environments – the best of both worlds!